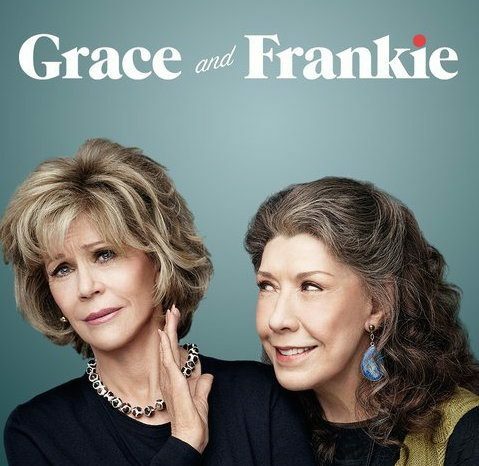 Legendary actresses Jane Fonda and Lily Tomlin, stars of the Netflix original Grace and Frankie, are facing some good old fashioned wage inequality. Despite the fact that their characters take the lead in name and screen time, they are paid less than the male actors (Martin Sheen and Sam Waterson) who star in the show. Fonda and Tomlin lead the show in a story of an unusual friendship between the classy yet stuck-up Grace and airy, hippie Frankie - two women thrust together because their husbands fall in love. While Sheen and Waterson are instrumental in the development of the plot, it’s clear Fonda and Tomlin dominate the story and absolutely carry the show. Fonda and Tomlin's portrayals of their distinct and polarizing characters are something of a comedic genius. But they aren’t recognized rightly for it. “That doesn’t make us happy,” Fonda said at a recent Netflix press event after finding out Sheen and Waterson make more money. The fans aren’t responding lightly either, creating a petition for pay equality within the show. The petition’s goal is to garnish enough signatures and support that Netflix pays its stars what they deserve. In 1980, Fonda and Tomlin co-starred alongside Dolly Parton in a comedy Nine to Five, illuminating sexism and bigotry in the workplace. Fast-forward 35 years, and the duo’s new project is still, ironically, falling short to equalize the pay for both the lead male characters and the lead female characters. The petition for Grace and Frankie highlights the success that can come in speaking out by referencing Charlize Theron, who discovered she was making a whopping $10 million less than her co-star in “The Huntsman” and successfully challenged the moviemakers. According to Forbes’ list of highest paid actors and actresses in Hollywood, the numbers aren’t even in the same ballpark. Angelina Jolie, the top-paid actress in 2013, raked in $33 million but that high number ties her for tenth on the list of highest paid actors. Among the list, men earn a collective $465 million between the top 10 while women pocket $181 million alltogether. Robert Downey Jr., Channing Tatum and Hugh Jackman’s total earnings in 2013 account for more than the top 10 women combined. Just 12 percent of 2014’s top-grossing movies featured women protagonists, a four percent decline since 2002. Despite this low number, statistics may suggest having a woman play the lead role can be more cost-effective for moviemakers. In 2013, movies revolving around female characters made an average of $127 million while male-centered films made $95 million per movie. The problem of pay inequality extends well beyond Hollywood. Women make less than men in nearly every job, according to a more than 500 occupations observed by the Bureau of Labor Statistics. Throughout her career, a woman will lose more than $430,000, enough to feed a family of four for 37 years, because of wage inequality. The gender gap is shrinking thanks to an increasing minimum wage state to state. While Fonda and Tomlin likely won’t run out of food to eat because of these pay disparities, Grace and Frankie give us a good reason to see gender pay inequality in action.